Tastes just like the real thing! 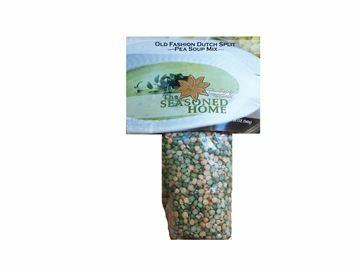 This is our top selling simple soup mix. It's creamy, thick, delicious and so easy to make. All you have to do is add 7 cups of water and simmer it for approximately 30-40 minutes. You can always add other ingredients such as rotisserie chicken, canned chicken or larger vegetable pieces to the soup as well. Makes approximately 8 one cup servings. 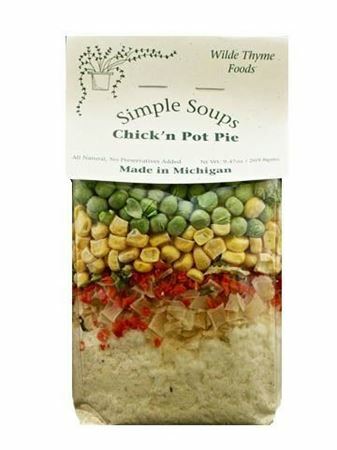 Ingredients: potatoes, chicken gravy mix, (maltodextrin, cornstarch, hydrolyzed corn and wheat proteins, modified cornstarch, partyally hydrogenated soybean and cottonseed oil, salt, chicken fat, 2% or less soybean oil, sugar, color added, yeast extract, xanthan gum, disodium inosinate/disodium guanylate, beta carotene (color), dry parsley, thiamine hydrochloride, natural flavors, gum acacia, turmeric, modified hydrated potato with emulsifier (mono-and digyderiedes) and preservative (sodium acid pyrophosphate, sodium bisulfite, citric acid), enriched flour (enriched bleached flour (wheat flour, niancin, reduced iron, thiamin mononitrate, riboflavin, folic acid), corn syrup solids, food starch-modified, palm oil, salt, partially hydrogenated soybean and or cottonseed oil, contains less than 2% dipotassium phosphate, carrgeenan, artificial flavor, sodium caseinate, sodium citrate, mono & diglycerides, color added), carrots, celery, chicken soup base (salt, sugar, hydrolyzed corn gluten, dehydrated onion and garlic, spices, oleoresin turmeric, spice extractives, and silicon dioxide added to prevent caking), season salt (garlic, salt, onion, spices (including black pepper, parsley and red pepper), orange peel, paprika, green bell pepper, and sulfating agents) and black pepper. 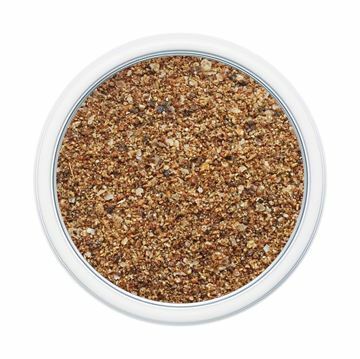 “Spicy” and “hot” best describe this blend. For those of you who like to sweat when you eat, Swamp Fire is sure to please. If you don’t like the heat, get out of the kitchen! Gives extra spice and kick to any dish. Can be added while cooking or used individually for more kick to any entrée. This is a classic and traditional Dutch Split Pea Soup! It makes you feel as if you're at an authentic Dutch restaurant, but in the comfort of your own home! A barbecue blend with the distinctive California flavors of orange and chili. 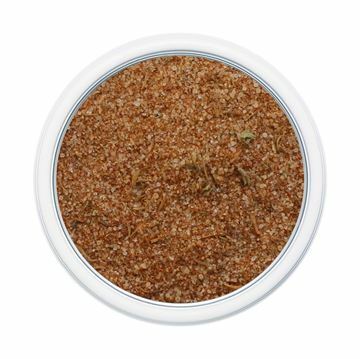 This seasoning can be used as a rub on pork, beef and chicken. Mix with olive oil and vinegar as a marinade for vegetables, such as olives, artichokes, roasted zucchini, corn, and eggplant. 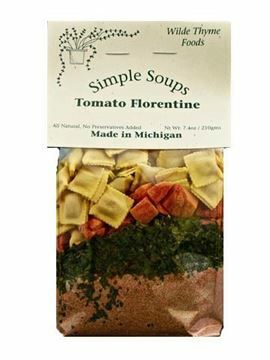 Creamy tomato soup and spinach is accompanied by mini cheese raviolis which makes this soup a flavor experience you don't want to pass up! It's one of our top sellers and is so easy to make. Just mix this package with 7 cups of water and cook for approximately 30-40 minutes. If you'd like to add meat or other vegetables to "doctor" it up- go ahead and experiment! 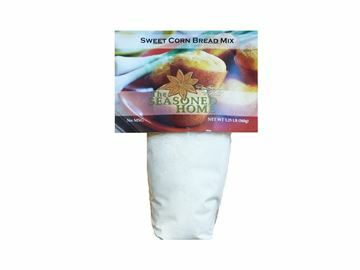 Our famous Sweet Cornbread Mix is a wonderful addition to any meal. One of our favorite ways to prepare it is in muffin tins, as it gets a nice golden crown. The sweetness of the cornbread makes it great on its own- no need for butter or honey!